RiskScreen Batch offers ultra-secure onsite and hosted batch screening solutions, with complete MI and reporting. 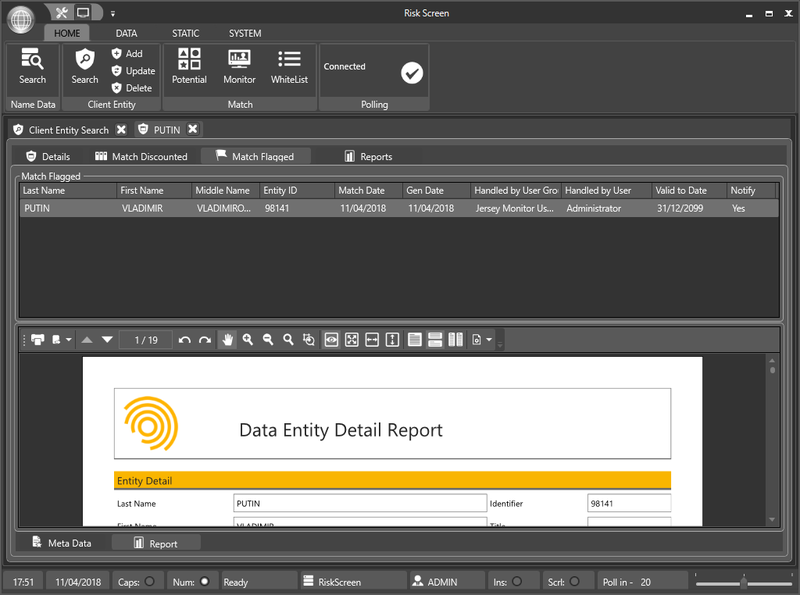 RiskScreen Batch allows users to use customer metadata including dates of birth and countries of association. Together with advanced customer risk profiles, these reduce the number of false positives by 70-95% when compared with leading alternative batch screening products. RiskScreen Batch allows users to set risk-based parameters for customers with varying risk grades thereby enabling you to automatically batch screen higher risk customers differently to lower risk customers. It enables higher risk customers to be screened with greater frequency and precision, including by reference to the treatment of metadata. 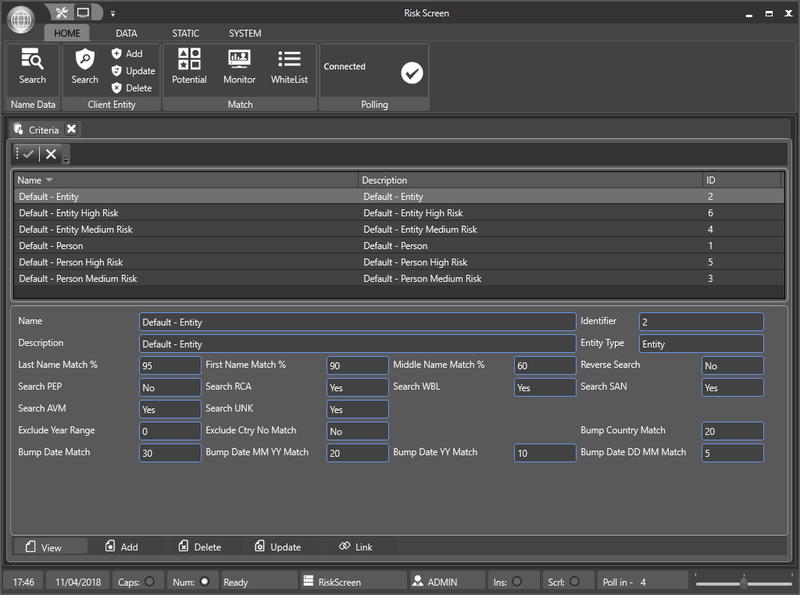 Its rapid 'Bulk Match' process allows speedy handling of potential hits. 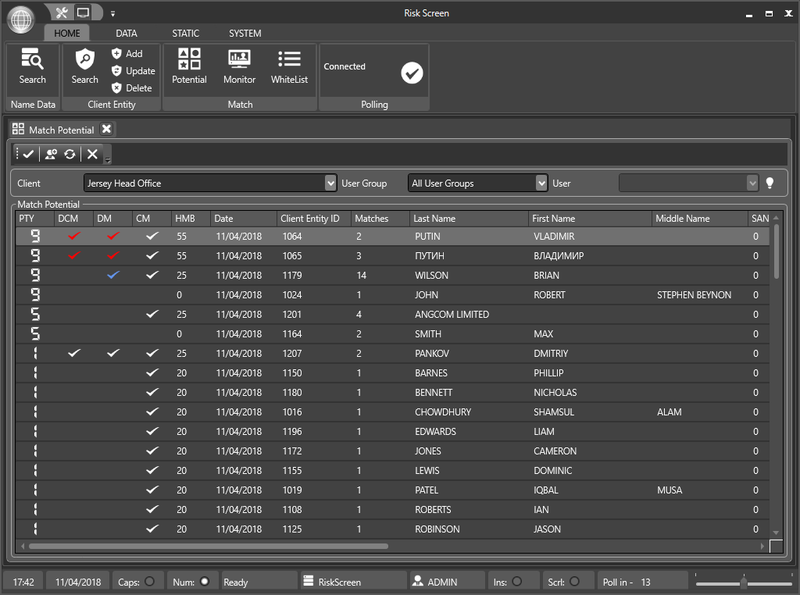 RiskScreen Batch includes full audit capture functionality allowing users to record and report the results of all batch screening that has been carried out, in addition to which an automatic record is created of all batches in which a customer is screened. The audit capture functionality enables users to provide positive proof of screening activity for all customer relationships. RiskScreen Batch provides lightning-fast customer batch screening against world-leading Dow Jones datasets for confidence in your ongoing monitoring of customer risk profiles. RiskScreen Batch screens your customers at whatever depth and frequency you choose. ‘Ravenscroft’s growth and success has been built on delivering the services which our clients want and not what we think they need, while at the same time ensuring that we are compliant with regulation and legislation. We now have 5,000 clients and billions of pounds of assets under management and this, together with the constant changing AML requirements, meant we needed a more efficient approach to monitoring. We wanted to identify a solution which would meet our exacting technical requirements, now and into the future, and to find a company that shared the same customer service values as us. After thoroughly reviewing the available onsite batch screening solutions, RiskScreen Batch met our criteria. The system has been developed by regulatory experts and that gave us the confidence that it would do what we needed it to in order to futureproof our screening compliance. During the implementation phase, we received exemplary support with the technical and regulatory queries which we had, and the system was up and running on time and on budget. © 2018 KYC Global Technologies. All rights reserved.